A pair of DCSD middle school football teams kept their records unblemished after Week 4 of play as Stephenson and Bethune came away with victories on Saturday. 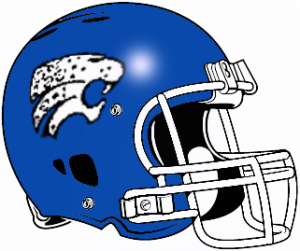 The Stephenson Jaguars improved to 4-0 overall and 2-0 in Region 2 play with a 38-0 shutout victory over the Stone Mountain Pirates (1-3, 1-1) at Hallford Stadium on Saturday. DeAndre Lamkin was a key participant in the win with a 35-yard touchdown run and a 52-yard interception return for a score in the game. Cheik Keita (20-yard TD run), Carson Wilson (4-yard TD run) and Jarnez Johnson (3-yard TD run) also contributed scores in the win. The Bethune Lions kept their record intact with a 28-0 win over the previously unbeaten McNair Mustangs in Region 4 game on Saturday at Godfrey Stadium. Isaiah Logan threw for 110 yards and a pair of touchdowns to lead the Lions (3-0, 1-0) in the win over McNair (3-1, 1-1). Bernard Mack had a rushing touchdown and took one to the house on an 85-yard pass play with Logan. Armond Davis added the other offensive touchdown. Brandon Underwood returned a fumble 50-yards for a touchdown as the defense put up a score for Bethune. Jaiden Fiagro and Josh Peterson had five tackles each for the Lions while Ventrillo Dunlap added two tackles, 1 sack, forced a fumble and recovered a fumble. The defensive effort was aided by Jamari Randell’s interception (40 yards on return, no score), Kenyon Partridge (forced fumble), Phillip Blalock and Joe Paige both contributed a sack and Dezikiah James added a forced fumble. The win sets up a big battle for the top spot in Region 4 as Bethune faces off with Cedar Grove (2-1, 1-0) which is coming off an open date at 11:30 am on the turf at Avondale Stadium. The Tucker Tigers improved to 3-1 overall and 2-0 in Region 1 by scoring in all phases of the game in a 60-0 win over the Peachtree Patriots (0-4, 0-1) on Saturday at Adams Stadium. Jayqunn Billingsley put together a big game with 160 all-purpose yards and three touchdowns. Jeremy Woods (95 all-purpose yards, 1 TD) and Anthony Ammons (2 rushing TDs) added some big plays to the Tucker offense. Jacquez Cullars added a 45-yard kickoff return for the Tigers. The defense was led by Nakobi Spurrier with a defensive touchdown, a safety and numerous tackles for a loss. Ammons and Caleb Collins added to the shutout with key interceptions. The Chapel Hill Panthers (2-2, 1-1) kept their playoff hopes alive with a 44-0 shutout victory over the Columbia Eagles (1-3, 0-2) on Saturday at Godfrey Stadium. Elan Patterson keyed the big win for the Panthers by scoring three touchdowns. He accounted for two of the touchdowns as he rushed for 119 yards in the game and then tacked on a 55-yard pick-six and several tackles on defense. Billy Johnson rushed for 112 yards and a pair of touchdowns to join Patterson in the 100-yards rushing category for the game. Sam Swain had a 20-yard touchdown reception and scored a pair of two-point conversion for Chapel Hill. Antonio Davis returned the second pick-six of the game 81 yards while Ethan Patterson added several tackles on defense to go with big receptions to keep scoring drives alive for the Panthers. Akillis Smith led the team in tackles with 12 on the day and Joe Foots added 6 tackles, including a quarterback sack, to round out the defensive play. The Miller Grove Wolverines kept their playoff hopes alive with a 16-6 win over the Freedom Rams (1-2, 0-1) on Saturday at Hallford Stadium. Ta’jon Corbitt scored both touchdowns for the Wolverines (1-2, 1-1) in the win. Lozuadon Jackson picked off pair of passes to help the Druid Hills Dragons (1-2, 0-1) pick up their first win of the season 26-2 over Sequoyah (0-4, 0-1) in a non-region game for both teams. Fullbacks Jamarious Carter and Jordan Isaac both scored touchdowns in the win. Xavian Green scored a pair of touchdowns to lead the Redan Raiders (3-1, 2-0) to a 23-0 Region 3 win over the Salam Lions (0-4, 0-2) on Saturday at Avondale Stadium. Antonio Molder added another touchdown and Dexter Howard’s 83-yard kickoff return set up one of the scores. Jordan Walker had 11 tackles and an interception for the Raider defense and Dharin Smith added a pair of sacks. The win moved the Raiders atop the Region 3 standings at 2-0 with undefeated Lithonia (3-0, 1-0) right behind and waiting for a showdown this coming Saturday at Godfrey Stadium with an 11:30 am kickoff. The Renfroe Bulldogs (2-2, 1-1) held off the Champion Chargers (1-2, 0-1) 26-22 to get a big Region 2 victory on Saturday. The Chargers appeared to have taken the lead with four minutes to play, but Andrew Perry’s interception return for a touchdown was called back due to a penalty. Christian Williams and Jacob Moore III had rushing touchdowns for Champion and Arrington Watkins and Kendric Lackey connected on a 61-yard pass play for a touchdown.